Eight inches of snow. 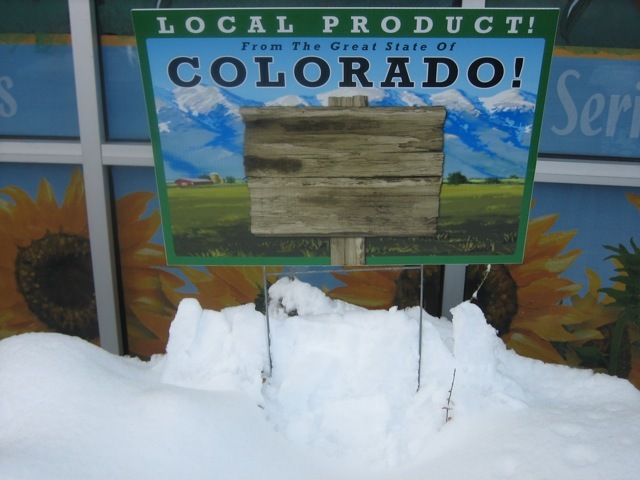 While perfect for my husband to lose himself in garage organization at the new house….not so good for Colorado vegetable exploration. We did manage to get out to the home improvement store and squeeze in  a stop at a grocery store with the words “farmers’ market” in the name. Camera in gloved hand, I was ready to snap some pictures of Colorado-grown produce, encouraged by the sign at the front of the store.